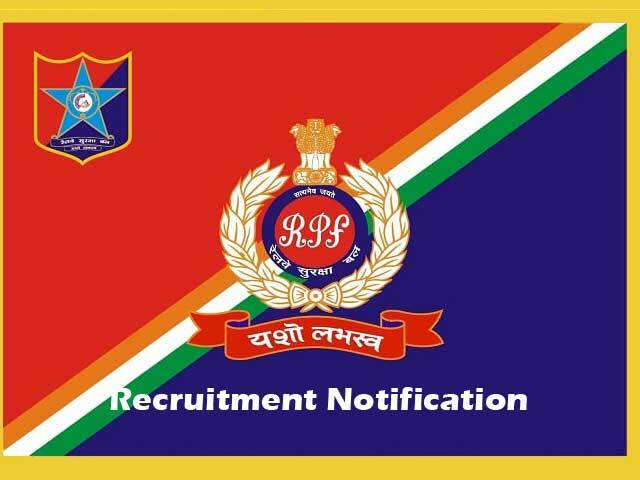 Railway Protection Force (RPF) has released RPF Recruitment Notification-2018 for the post of 8619 vacancies for the posts of Constable. The Recruitment has complete details about their notification on its official website i.e., www.indianrailways.gov.in and Careers99.com. This is a good news for those who are waiting for Central Govt Jobs. Candidates may apply offline before the Last date of the Notification i.e., 19 to 25-05-2018. And the remaining details for the recruitment like Educational Qualifications, Eligibility criteria, Age limit, No of vacancies, Post names, Pay scale, Job location, Application fee, Important links, Procedure to Apply are mentioned below. Railway Protection Force (RPF) has released Notification for the posts of Constable having 8619 vacancies on its official website www.indianrailways.gov.in. Interested and eligible candidates can Apply Online before the Last Date i.e., 19 to 25-05-2018. Required details like educational qualification, age limit, selection process of RPF Notification 2018-19 are given below. Selected candidates will get Pay of Rs.8460/- in the Pay Band of Rs.5200-20200/- including Grade Pay of Rs.2000/- by the Recruiting Organization. Selection of Candidates for Constable posts will be done as per following stages- Eligible candidates will be selected on the basis of performance in Written Exam, PST/PET Test, Interview.